This blog post is a public account of the issue along with advice on how to protect your information. Immediately I hit ‘ctrl f‘ and did a search for my name and indeed it was in there. Along with my PayPal email address and a password I commonly used several years ago in forums. This 84 page PDF was publicly displayed as a link on a site called JoomlaCheap.com. 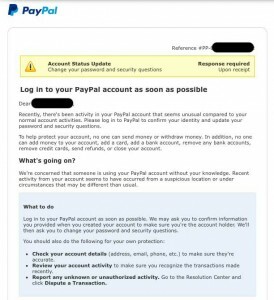 Just to make sure this wasn’t a hoax and before I started calling PayPal I chose a random user that had a numeric password and was able to login to their PayPal account with this public information. Immediately I called PayPal and posted in the Joomlart forums. I also reached out to the user who’s account I was able to login to. My first of 3 different phone calls to PayPal, explaining the information and the breach was basically unsuccessful. The security agent explained that someone from their executive team would contact me within the next 24-48 hours. I explained that this needs to be escalated immediately and that I was able to login to a PayPal users account but I didn’t tell him which account. He assured me it would be handled promptly. An hour or so went by and I hadn’t heard anything and during that hour I tried to contact the owner of Joomlart, Tucows (to disable the domain) and worked with another gentlemen on Facebook to get the word out to Joomlart members that their information was out there in the public. Meanwhile I hadn’t heard anything from PayPal so I called again. This time I was put in touch with the limitations department and was assured that I would not be prosecuted for merely logging into someone’s account and he wanted the users email address so he could change it. He also instructed me to forward that email I had received to spoof@paypal.com which is a common email that takes a while for folks to get to. I gave him the users email that I was able to login to and he assured me this would be escalated and dealt with promptly. 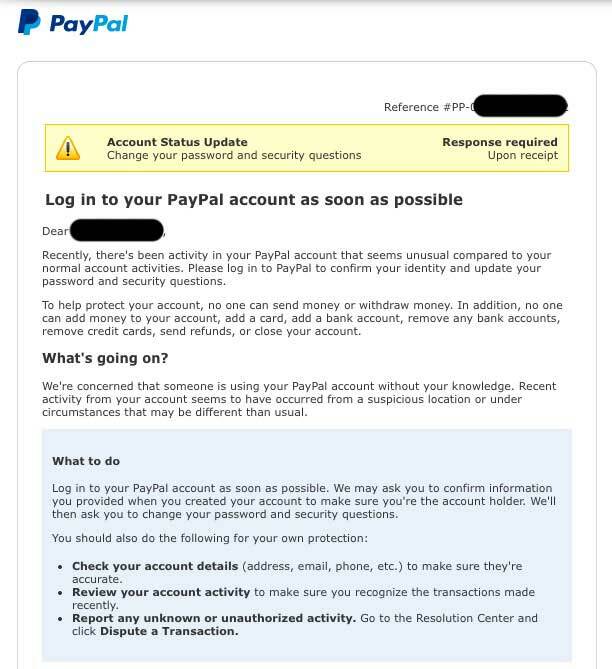 Several hours later I thought… Hmm… I wonder if that PayPal account is still accessible? I wonder if PayPal has done anything at all? So I checked, I was able to login successfully. That’s when I called PayPal again, this time demanding action. The nice lady in security said spoof@paypal.com is a busy email and that might not be addressed for 24-48 hours so she contacted someone else in security and gave me a private email address with an ATTN: to name. She also wanted the email account of the user I was able to access so I gave it… Never tried again. Within the hour I received an email from PayPal, pictured to the right and I assume it went out to everyone on that publicly displayed list. It basically disabled my PayPal account until I took action to re-verify and change my password. Thank you PayPal for finally taking appropriate action. I’d like to add that PayPal is indeed safe and I wrote a blog post about this a while back. When you sign up for an affiliate program there’s some information they need. Whether it be Amazon, Ebay, Joomlart, Commission Junction or many others, they need to first be able to pay their affiliates and when they pay their affiliates, they have to report the total of these payments at the end of the tax year. In order to do that they need certain, sensitive information from you. This information will often include your Full legal name, PayPal email address, your Tax ID, Social Security Number or VAT ID. Some vendors pay by check so they’d also need your full address. That’s a lot of information and much of it is very sensitive information that must be stored in a database. These databases contain tables in which these data fields are stored. A company as old as Joomlart, with all their developers, should have encrypted private and sensitive data belonging to their customers and partners. It’s not usually a question of if, it’s a question of when a database will be hacked or back-doored. Joomlart.com failed to do this. The hacker was able to grab all the data from the unencrypted tables and send out an email to everyone offering to sell them more information. Additionally I did a search for the email which showed up that the user posted on the Joomla forum, claiming to have all the Joomla users information and emails from their database. See image below, apparently the thread was removed but I hadn’t seen where the breach had been addressed by Joomla. Remembering different passwords for different websites can be daunting to say the least. However, they are needed. You never want to use a forum or any other website with the same password as your PayPal account. Never ever. Too many of us use one password for everything and that’s simply no good. Register for an LLC if you’re doing any kind of business on the Internet. It costs an average of $100 and you can do it yourself. Once you have an LLC, you’ll want to apply for a federal tax ID number for that LLC. This is the number you’ll want to use in place of your Social Security number. Never give out your Social Security Number, not even to the most secure sites, as they too will eventually be breached. With an LLC not only are you protecting and isolating your personal and private information, you are also able to take advantage of corporate tax benefits and loopholes that so many people think are for the big players and big corporations. Explaining of this would be an entirely different article all together. Best of luck to all you and keep your information secure. Don’t rely on other websites to do it because many times they don’t, as in the case of Joomlart.com. Joomlart is dealing with this breach and I’d imagine the owner of this thriving community is probably sick to his stomach. 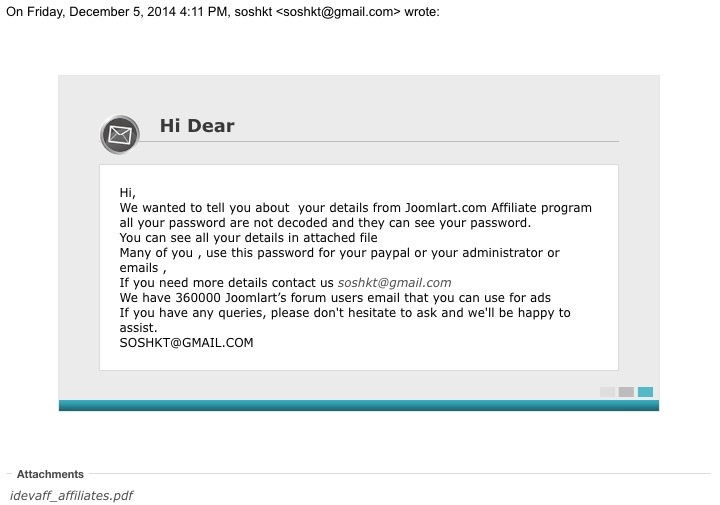 While having this data breach may not have been intentional, it’s certainly an oversight on the part of Joomlart. Joomlart was one of the first and early Joomla template providers after Joomla split off Mambo back in the early days. You’d think, based on the length of time Joomlart has been around that encrypting customer data would have been an important part of this website, but it wasn’t. I know I paid quite a bit for yearly membership fees to Joomlart, you’d think a part of that would go into protecting my sensitive data, but it didn’t. If nothing else, let’s hope we can all learn a valuable lesson in security from all this. 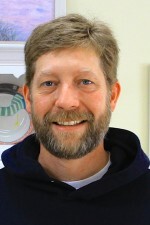 Always protect your own data and webmaster’s are obligated to protect their clients data. If you can’t do that much, you shouldn’t be offering affiliate services on the web and keeping private data. Period. Another consideration is… how many other companies do we do business with daily that may have similar vulnerabilities.